400 enthusiastic participants raced against each other at the biggest national Esports racing event in Malaysia this weekend with the aim of claiming bragging rights as the country’s fastest and quickest simulator driver. Their duel was at the first Toyota Velocity Championship held at the Sunway Pyramid Blue Atrium in Petaling Jaya, Selangor from 21st to 23rd of September. 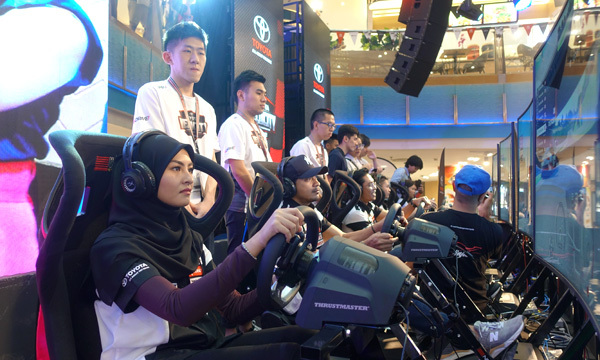 UMW Toyota Motor Sdn Bhd (UMWT) is the first Malaysian car company to be associated with the fast-growing Esports racing activity, which virtually mirrors the high-performance activities of Toyota Gazoo Racing, giving the public a chance to experience the thrills and excitement of racing. 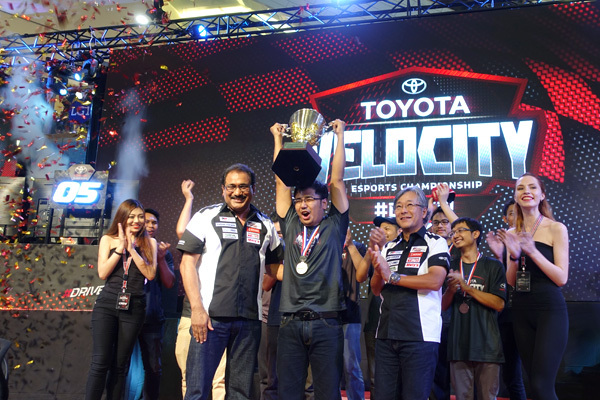 “We are delighted with the overwhelming response from the public towards the very first Toyota Velocity Championship. Esports is definitely a rapidly rising industry not just in Malaysia but also globally as it provides exciting experience for the younger generation. Toyota’s involvement and strong presence in such activities complements the dynamic and sporty side of the brand,” said Mr. Ravindran K., President of UMWT. 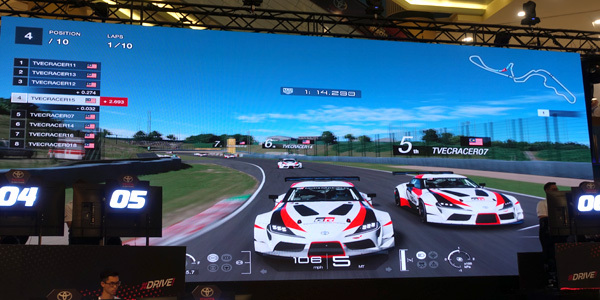 For the Toyota Velocity Esports Championship, participants race on the high-powered Toyota GR Supra Racing Concept, Toyota’s iconic sportscar. Using state-of-the-art Playstation Gran Turismo Sport simulator machines, drivers are provided with realistic 3D perception of the environment. The virtual race runs at the legendary Suzuka International Racing Course in Japan. After 2-days of racing, 10 finalists stood strong to challenge each other at the final round on Sunday for the Championship trophy and cash prizes. The top three winners received RM20,000, RM10,000 and RM5,000, respectively, while consolation prizes of RM2,000 each were given to the other 7 finalists. A total of RM60,000 cash prizes were offered during the championship. Besides the championship competition, which was open to members of the public who registered to take part, there was also exciting exhibition race between celebrities from the Toyota GAZOO Racing (TGR) Racing Festival; Diana Danielle, Janna Nick, Shawn Lee and Syukri Yahaya Aiman Tino, Khai Bahar, Nabila Razali, Wany Hasrita, Akim Ahmad and Nabil Ahmad, who raced against UMW Toyota Motor’s racers. The celebrities, who also race in the Vios Challenge One-Make Race of the TGR Racing Festival, also interacted with their fans and the public during the event. Fans will also be able to catch the celebrities in full action at the Toyota Gazoo Racing (TGR) Racing Festival at MAEPS Serdang, from 19th to 21st October 2018. Members of the public who want to know more about the Toyota Velocity Esports Championship and TGR Racing Festival can visit www.toyota.com.my.